Both. It exhausts me when I’m working on something long or complex but also energizes me when I have an idea I want to explore. Sometimes I get bogged down and want to quit writing that story, or that part of the story, because nothing is going right. I just have to wait, because the characters will work it out by themselves in my head and then I can go back to it. I had 1 poem published under a pseudonym to protect a person who might have been offended by it. The publisher knew my real name and why I chose to do it this way. In all other cases I’ve used my real name. I have many writer friends both inside the Writers Foundation of Strathcona County and outside of it. They inspire me to carry on by understanding the pitfalls and frustrations, by helping me improve my stories and by continuing to listen and share their expertise. Each of my 3 books, ‘Fragments of Lives’, ‘Colouring Our Lives’ and ‘Bloodlines’ stands alone. Even my contributions to magazines, periodicals, compilation books and even a workbook I co-authored are separate from all the others. Money well spent has gone for art work for covers, editing and publishing assistance. These are things I cannot do myself and finding the right person or people to do it for me was worth every penny. As a child I was allowed to read whenever and wherever I was. And to read anything that took my fancy. The stories fed what my mother told me was my ‘overactive imagination’. I knew at a young age that words had power as the stories affected me. 8. As a writer, what would you choose as your mascot/avatar/spirit animal? I have 2 spirit animals, neither of them specifically for me as a writer but both could be. The 2 diverse creatures are the she-wolf and the California Grey Whale. Both have tenacity, a lifelong affinity for protecting and caring for family and a gentleness within their peer group. When attacked or threatened they both can become aggressive in defending their family’s safety and their territorial boundaries. I have neither a mascot nor an avatar – both would be out of character for me. 9. How many unpublished and half-finished books do you have? I am not working, at the moment, on any one story or book. I have hundreds of as yet unpublished stories but most of them will remain that way as they would require a great deal of work to come to fruition. Rather than take part in NaNoWriMo I’ve challenged myself the either start or complete a story each day in November. So far this is happening. 10. What does literary success look like to you? Literary success for me is to have my stories read and appreciated. I’d like to have more of my books in libraries and have an audience farther away from where I live. My latest book, ‘Bloodlines’ took a lot of research. I didn’t know that when I began it as I thought it was just going to be a short story. I started researching possible migration routes for the ancestors of the main female character, Hannah, and ran into a roadblock as I discovered that she could not be of gypsy origins as I had thought. That started a whole process of figuring out where her ancestors could have come from and led to several new characters needing to be introduced. By the time that story was ready to publish it was long enough to be a book on its own and I knew more about Chile, anthropology, bats, volcano cloud storms, old maps and other things than I ever intended to know. I did some of this research online and some using old maps. I enjoyed it but it took me thousands of hours during which I discarded most of what I learned as it was not applicable to this story. 12. How many hours a day/week do you write? I have no set schedule but normally write early in the day while it is quiet and I am rested. I am easily distracted so need quiet and calmness to write. 13. How do you select the names of your characters? The names of characters are really important. Quite often the first character’s name will just come into my head and I start with that. Names need to be evocative of the time period of the story, the age of the character, the geographical region they come from and somehow give the reader a sense of who they are as well as how they fit into the story. If a writer gets this wrong it upsets the balance of the story. 14. What was your hardest scene to write? Endings are always hardest for me. It’s difficult to have set a tone of time, place and characters and then round it all up to complete what you’ve written about them. After reading my short stories people often ask “What happened next?” but I don’t know the answer as for me the story has ended. 15. Why did you choose to write in your particular field or genre? If you write more than one, how do you balance them? I only write about people who could be real but aren’t. The settings are close to what most of us experience and the people who inhabit the spaces could be neighbours. Real life is fascinating and I enjoy portraying it in a new way, often with twist which is how real life usually happens. 16. How long have you been writing? Many, many years – I think I took my first creative writing class about 25 years ago although I had attempted writing prior to that. Then I joined a small writers group, albeit one not really suited to me, before finding a group which were helpful and encouraging. There is inspiration in many things, a beautiful view of mountains or the ocean, an overheard piece of random conversation, a news story, someone’s outfit, a dream I’ve had, and any number of other things in normal life. 18. How do you find or make time to write? For me there is little problem with time. I’m retired from a day job so can plan my time to allow me to do most of the things I want to do. I can write both on a computer or by hand if I’m on a plane or a passenger in a car or alone in my home. I’m never without pen and paper. 19. What projects are you working on at the present? Just trying to get a few small stories prepared for a monthly newsletter I submit things to as well as one to read at a writers Christmas party. Having just published ‘Bloodlines’ I have no deadline looming. 20. What do your plans for future projects include? I’m in that space where I haven’t planned the next phase of my writing. I’m hoping that one or more of the stories I’m writing in November will be worth pursuing and turns into something I can share with others in the new year. 21. Share a link to your author website. I don’t have a personal website but am part of the website of the Writers Foundation of Strathcona County (WFSC). The working title while I was writing ‘Fragments of Lives’ was Chunks of Life. It sounded too harsh, too heavy. Pieces of Lives sounded too even and Slices of Lives sounded like serving pieces of pizza or cake. Because no one character is in each story and each story is just a piece, often rough around the edges, of a life Fragments seems descriptive of the contents. With “Colouring Our Lives”, I wanted to use Colouring Outside The Lines but it has been used often by other authors. 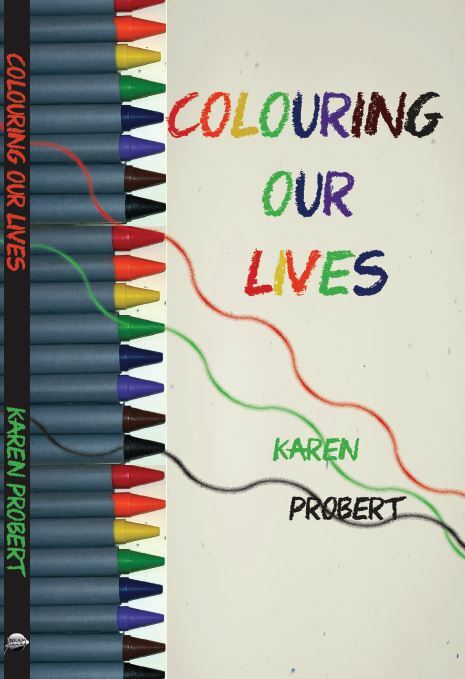 I polled friends and other writers and the consensus was to use “Colouring Our Lives” Each story in this book has a predominant colour associated with it. 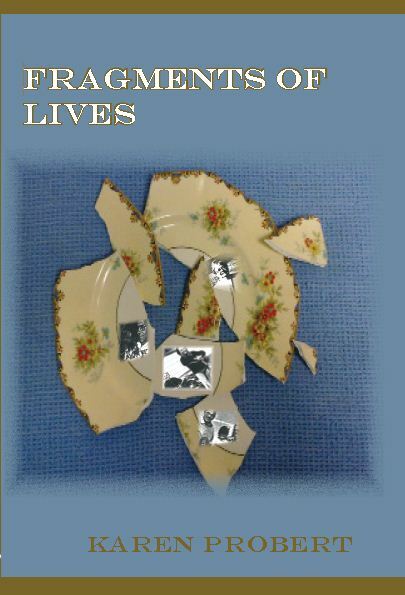 “Fragments of Lives” is my first book of fictional short stories. 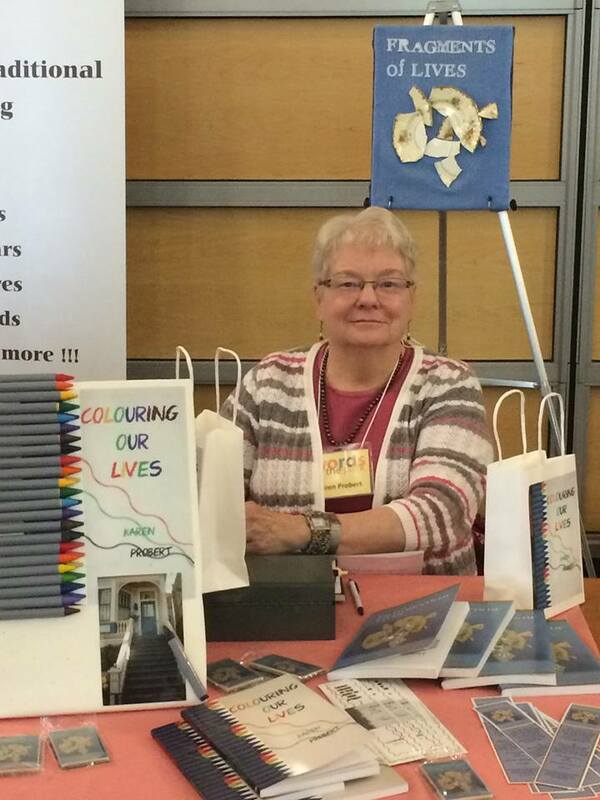 “Colouring our Lives” is the second, both have been published by Dream Write Publishing. I’m working on a very long short story, which may turn into a novel if that is what the characters want – the working title is “Bloodlines”. Although all my stories are fiction, the characters and scenarios in them are realistic and believable. I don’t write fantasy or sci-fi but about innately human characters in realistic situations where there is tension or an attainable goal being pursued. Although I have no favourite character I often portray characters who are flawed, as we all are in some ways, but have the strength to live their lives thoughtfully and with integrity. Yes, there are always improvements that could be made. What is your favorite part/chapter of your book/project? The thought process. Hmmm. A story begins with just one sentence or piece of dialogue. I just start there and follow the character’s lead. Once that story is written I go back, fill in, add other characters, or adjust the setting. I add details to embellish the idea of the story. My favourite part is creating the characters – what are their beliefs, how were these beliefs formed, how are they living their lives and making those lives work? Yes, they always have flaws or something has happened to them to change their perspective but they carry on. Not all of that information may be available to the reader, but it is in the back-story. Probably I would never write about war or destruction. I could not write about a dystopian world where there seems no hope but only despair. I neither eat/nibble nor listen to music while I write – quiet and calm allow me to concentrate best. The most difficult challenge for me is to make the people in the stories interesting but to also keep them like ordinary, real people that the reader might meet in everyday life. Each one has to have a secret or a flaw or be in an extraordinary circumstance that makes them act the way they do. That’s what holds the reader’s interest. Many times an idea has not come together. It isn’t that I hated what I’d written but that I was disappointed that I couldn’t make the idea work. “Bloodlines” is about anthropologist, Hannah, of middle-Eastern descent who marries an African American whose genealogy is suspect, but whose family believes it is pure back to African slaves. Hannah is trained to follow the evidence and do the research. Doing the background research for this has been fascinating – everything from the gene causing red hair to Chilean bats – and I hope that comes through when I get to the end of the story. This story is purely fiction, but it could be true.